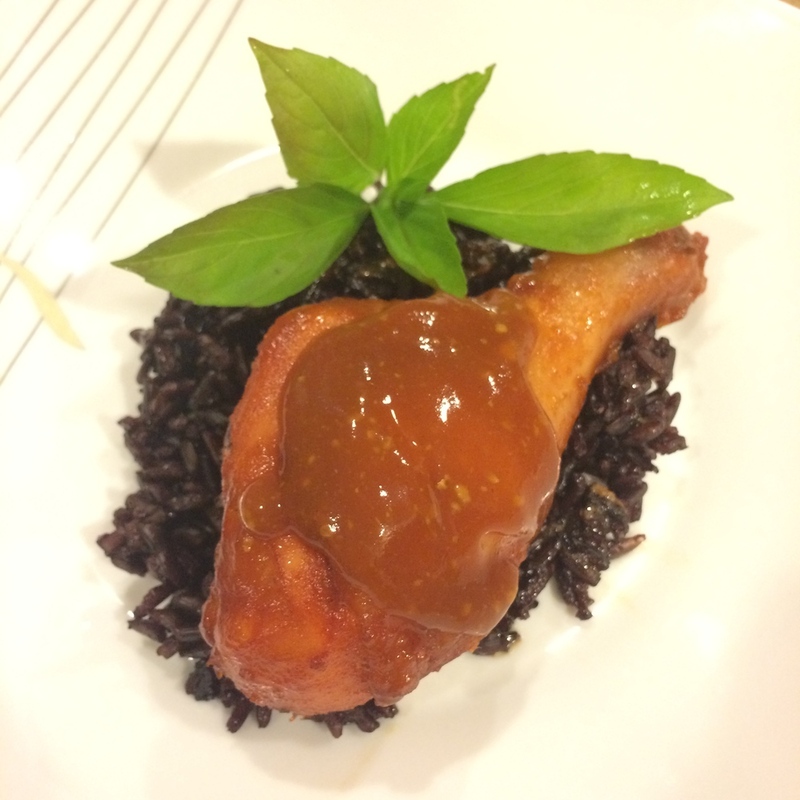 Today I'm going to share with you mine & my roomie's favorite recipe for homemade BBQ chicken. I love that this BBQ sauce is super tangy and not too sweet like so many store-bought sauces. It bakes up in the oven nicely and is great to prep for the whole week! We found this recipe in the Picky Palate cookbook, which you can buy by clicking on the photo! Recipe courtesy of The Picky Palate, copyright 2012. In a small bowl, combine 2 tablespoons of the brown sugar, 1 teaspoon of the salt, 1 teaspoon of the pepper, the paprika and the garlic powder to a small bowl. Stir to combine. Rub the mix on the chicken pieces. Combine the ketchup, Worcestershire, mustard, vinegar, lemon juice and the remaining 4 tablespoons of brown sugar, 1/4 teaspoon of salt, 1 teaspoon pepper in a medium saucepan. Cook over medium-low heat, stirring, for 5 minutes. Heat the oil in a Dutch oven or heavy bottomed pan. In batches, add the chicken to the hot pan and cook until browned on both sides, about 3 minutes per side. Transfer the browned chicken pieces to the prepared baking sheet. Add 1/2 cup of the prepared bbq sauce to a small bowl and brush over both sides of the chicken. Bake for 25 to 35 minutes, or until cooked through. Remove from the oven and brush with additional sauce. You can use a whole chicken or whatever parts you prefer. However, I highly recommend free range organic chicken only! Serve this with wild purple rice and grilled veggies like zucchini, corn, or bell peppers! Any questions? Message me! What's your favorite bbq chicken recipe?